I am Ramakrishna Naidu currently working for Teach For India as Graphic Designer in National Communications Team. My role is to communicate the vision of our organisations "One day all children will attain an excellent education". Here, understanding the different mindset and delivering the big picture of our vision is a constant learning process. Before that, I started working as a freelance graphic designer when I was in 4th semester of my UG which got me an opportunity to work with the student organisation named Team Alloy & Uber Street Team in Visakhapatnam. It was a good learning experience so far to work with different sectors. What is Jagriti Yatra ? Jagriti Yatra is a 15-day long, national train journey that will take you 8000 kilometers across the length and breadth of India, to understand and build the India of smaller towns and villages through enterprise.I will meet role models, change-makers, leaders that started out on a journey just like me – and made a difference to thousands of lives. I will forge bonds with like-minded young leaders- my co-Yatris and complete strangers. They will become my closest friends and comrades for life. I will be exposed to role models who are building India through enterprise; through them, I will find inspiration to undertake your own building journey. Since I came to know about the Yatra three years back, I’ve been thinking of applying but never had the courage to take the risk. I love traveling, meeting new people and learning from new experiences. I've come to understand the power of human potential and it has become a source of inspiration that drives me every single day. The Yatra is also my way of understanding our country and its people. The Changemaker at heart that I am, it fascinates me to know how people around the country are doing incredible things and having a substantial impact on the lives of others. I feel it will enable me to learn so much from each of them and carve out a plan for my initiative into the social entrepreneurship field. I always push myself to learn new things with the help of various platforms. My family is the biggest financial support from my childhood. I saw different financial situations when they decided to provide a quality education, fulfill my wish lists and also I saw the support they provided during those ups and downs. When I started understanding all these life lessons, I decided to be less burden and independent(at least financially) by doing freelancing work with the skills I gained. 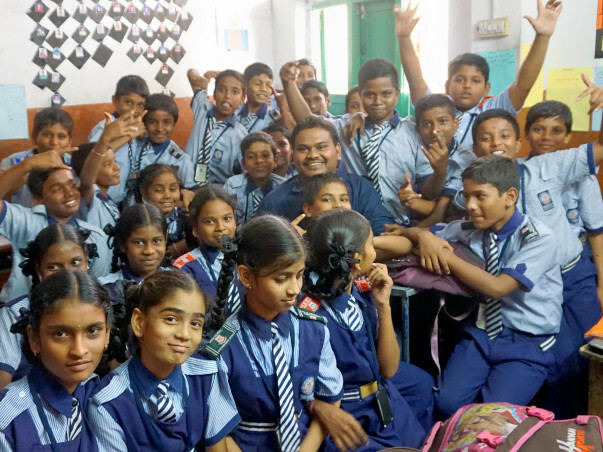 I came so far where I begin and now I am working as Graphic designer with Teach For India to eliminate education inequity in India. With the help of this scholarship, I am hopeful that I'll meet like minded people from different places and that helps me to understand the situation of education in India. 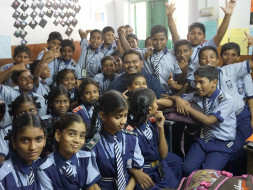 Working with Teach For India is the biggest challenge - financially, but we love to push our limits to deliver the quality education for every child in India.I deserve the sponsorship because I think the economic situation shouldn’t hold back an aspiring individual from learning, achieving and sharing something in their life. And I believe that people like you, who are reading this right now will empower me to achieve my dream to go on the Jagriti Yatra. All the best! Make us proud! !